With the warm weather building, homeowners are excited to begin entertaining guests outdoors. Energy efficiency is always crucial during the winter, but individuals should also remember to keep their homes well-maintained during the summer. By keeping some of these tips in mind, it can be easy to enjoy energy efficiency inside and outside the home during the hotter summer months. Spending time outside is another great way to save money throughout the day. When homeowners use solar-powered LED lights, they can save on their home’s interior lighting system, which reduces energy costs and stops them from paying more than they need to. Solar-powered lighting systems charge on-board batteries during the day in order to provide homeowners with more light during the night. 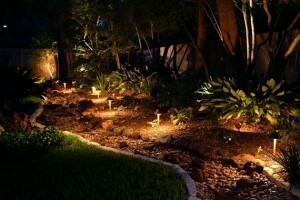 They are safe and convenient, and there are numerous ways to decorate with such lights, making them ideal for quiet nights on the porch or entertaining sessions with your friends and family. Entertaining guests means pulling out the grill and enjoying some home cooking outside the home, but homeowners should remember to cook with a grill whenever they have the chance. While cooking on a indoor range or stove can be convenient, it can also trap heat and moisture inside the home. Homeowners can save on their property’s indoor cooling costs just by cooking outside. Investing in a quality grill can also help reduce the energy strain when you cook outside. If you have a pool, be sure to stay active in it. It’s a great way to stay in shape and reduce the need for pool pumps, which often run longer than needed to keep the pool’s chemicals and water circulating. When you swim and move the water around, you are naturally doing the pool pump’s job, allowing you to ease up on your mechanical pump to save you energy. Check the chemical levels regularly and remember to give the pump a break every now and then.